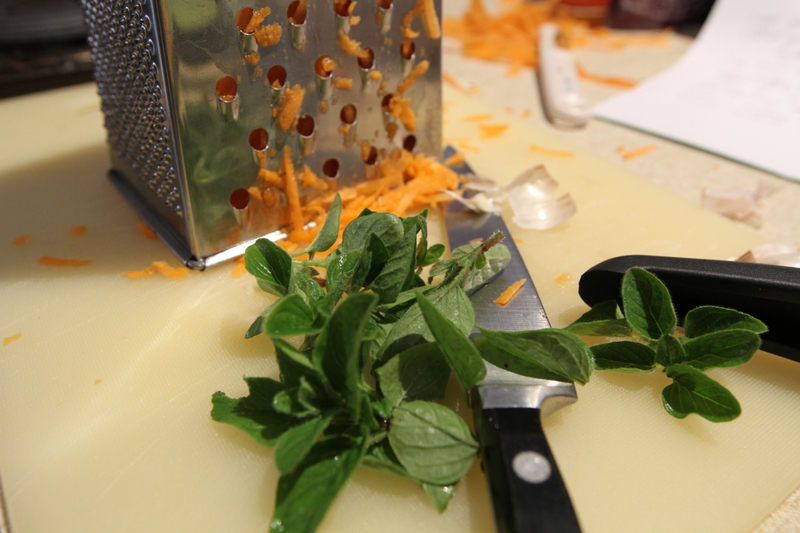 Fry garlic and the grated carrot with ~2tbsp of olive oil (or oil of choice) in a frying pan. 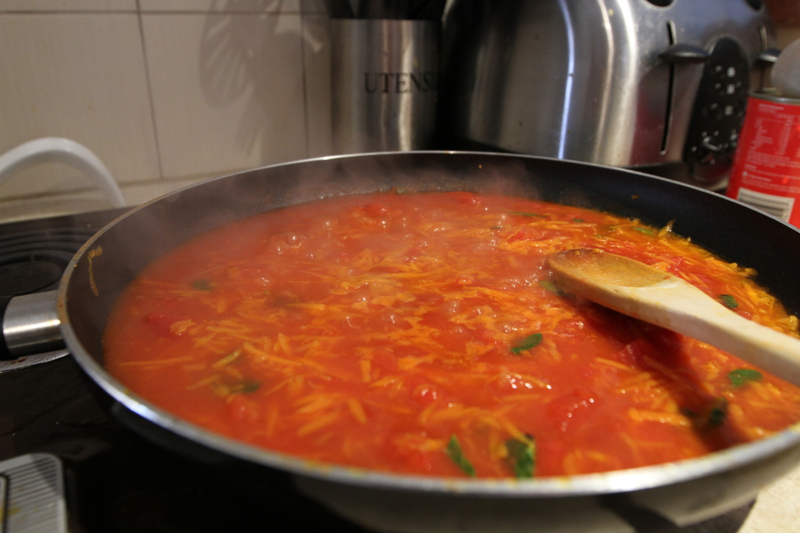 Once carrot looks softer and before it starts to caramelise add in the tomatoes, the chicken stock and the oregano. Bring to a simmer, add sugar and pepper to taste (it’s all about balancing the flavours – there’s my Masterchef influence!). Simmer for 15-20mins or until it looks glossy and isn’t watery. I use my stick blender to blend it (I put the sauce in the plastic jug/beaker that comes with the stick blender) until it’s a sauce (or you could put it in a food processor). 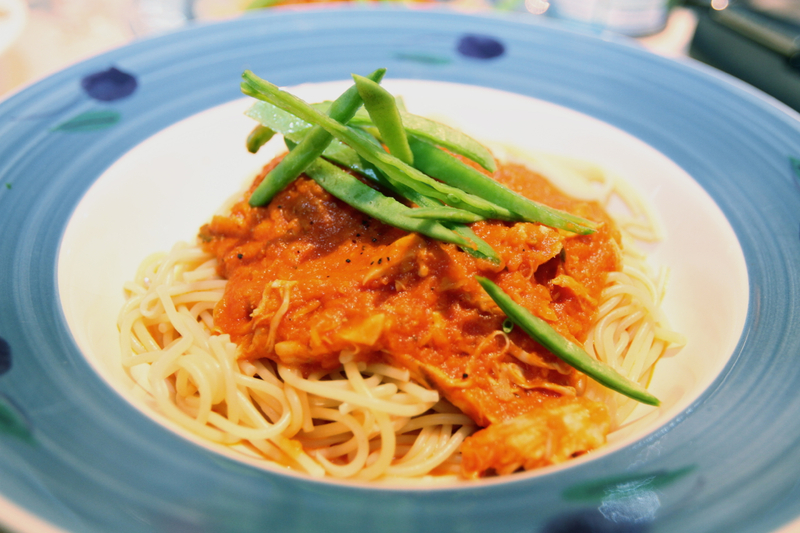 I will often do this part earlier in the afternoon and then when my pasta (Gluten free for those who require it) is 5 mins from being ready I reheat the sauce in the frypan and add the chicken and cook until well hot. Serve on top of pasta and arrange snow peas on top. Note: This sauce could also be used without chicken as a pizza base sauce. You could easily double the recipe and freeze it in batches. Adding spinach before blending will add more veggie content too.